Track hardware for sliding closet doors? Some times having an entire wall of mirrors can be a bit too much. 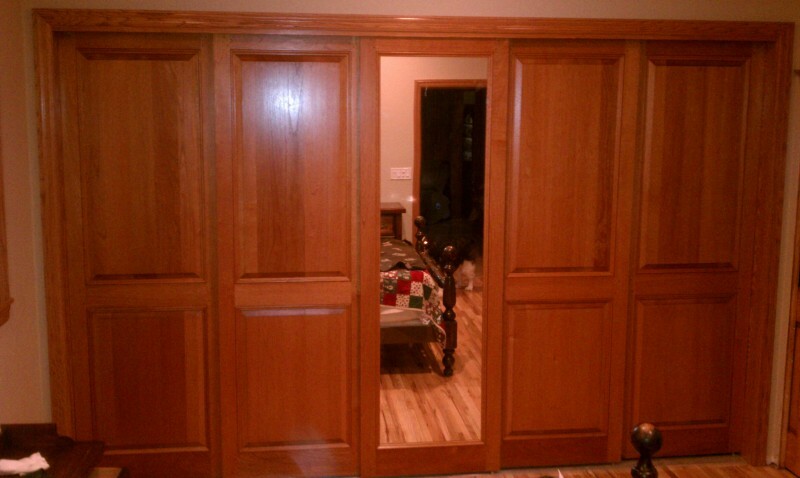 This homeowner did want a mirror in their room but not the entire closet. With the 4 outer doors designed with raised panels and olny a single mirrored closet door in the center they have just the right amount of mirror for them.